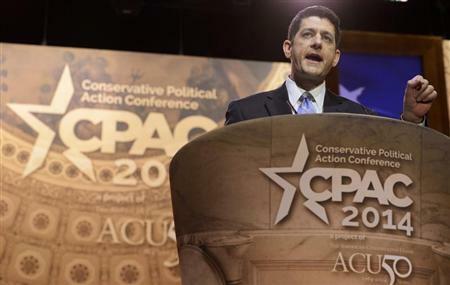 WASHINGTON (Reuters) - Republican Representative Paul Ryan on Friday agreed to meet with the Congressional Black Caucus after members of the group branded his remarks about inner-city poverty this week "highly offensive". The controversy began on Wednesday after Ryan said on William Bennett's talk radio show, "Morning in America," that there was a "tailspin of culture, in our inner cities in particular, of men not working and just generations of men not even thinking about working or learning the value of work." Representative Barbara Lee of California, a member of the Congressional Black Caucus, called Ryan's remarks a "thinly veiled racial attack." "Let's be clear, when Mr. Ryan says 'inner city,' when he says, 'culture,' these are simply code words for what he really means: 'black'," Lee said in a statement. Ryan, the 2012 Republican vice presidential candidate, is known for budgets with proposed deep cuts to programs that help the poor. The potential 2016 presidential contender has made a point of proposing Republican solutions to ease poverty that focus on the private sector. The Wisconsin lawmaker, who chairs the House Budget Committee, said in a statement that he "was inarticulate" about the point he was trying to make. "I was not implicating the culture of one community, but of society as a whole," Ryan said. "We have allowed our society to isolate or quarantine the poor rather than integrate people into our communities. The predictable result has been multi-generational poverty and little opportunity." Last week Ryan released a report on the federal government's 50-year-old "War on Poverty" that concluded that many of the 92 federal programs aimed at assisting the poor were "haphazard" and contributed to a "poverty trap" that keeps people dependent on welfare benefits. Representative Marcia Fudge, chairwoman of the Congressional Black Caucus, and Representative Gwen Moore, also from Wisconsin, sent Ryan a letter in which they called his talk radio remarks "highly offensive" and invited him to a meeting of the caucus to discuss ways to eradicate poverty. "A serious policy conversation on poverty should not begin with assumptions or stereotypes," they wrote. Ryan spokesman William Allison said on Friday the House Budget Committee chairman "would welcome a productive conversation on how to better fight poverty, and he looks forward to meeting with the CBC in the near future." Allison declined to comment on the timing for Ryan's 2015 budget plan. House Speaker John Boehner has repeatedly said the House would pass a budget this year that would reach balance within 10 years. This would require deep cuts in federal benefit programs, especially if previously agreed discretionary spending levels for 2015 are maintained. Republican lawmakers and aides said on Friday that party leaders were polling rank-and-file members to gauge support in the caucus for a budget that balances in 10 years, indicating some uncertainty over the path forward. No Democrats are likely to vote for a Ryan budget, so to pass, it would need 218 votes out of the party's 233 House members. A two-year budget deal negotiated by Ryan and Democratic Senate Budget Committee Chairwoman Patty Murray had to rely on Democrats for passage as 62 Republicans voted against it.